There are lots of people who are searching for a better tutorial for root, backup or do anything else with their Android Phones and Tablet. A Video Tutorial is most powerful and straightforward way of learning and we thought of bringing some awesome videos in one place. We will tell you about how you can backup essential phone data like SMS, Whatsapp messages, BBM Messages, Contacts, call logs, Calender, Bookmarks, Apps and cache data. How to backup your Phone using Helium? Carbon has been renamed to Helium and it is the best app to backup apps and app data and works even on non-rooted device. The apps come from trusted from the developer who created Clockworkmod recovery. There is the premium version of an app that provides more functions, but the free version does most of the thing fine. Here is a detailed video of using Helium to backup your Android Phones app and data easily. How to backup Whatsapp messages on Android? Most of us use messaging platforms like BBM or Whatsapp. But response to Whatsapp has been phenomenal and there are lots of users. I have been asked many times by my readers and friends that how to backup Whatsapp messages and data on Android phone. If you are creating a backup of app data using Helium then it will include all the messages. If you want to keep the Whatsapp data separately and safely then there is an easy option of backup build in Whatsapp itself that can help you backup chat history. How to backup BBM messages and contacts on Android? Well! Its simple you just need Helium as its backup App data, all your BBM messages and contacts will be safe. You can also use Titanium backup up to create, save the data as well. 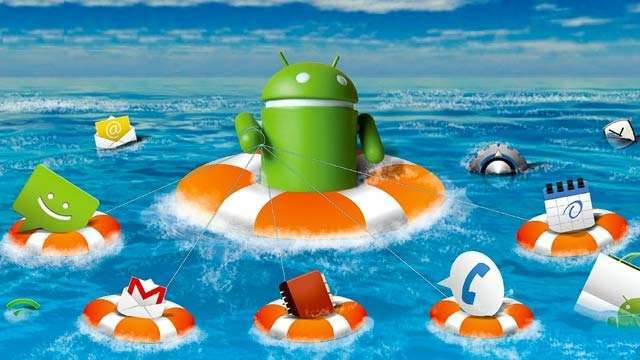 How to create Nandroid Backup of your Android device? Whether you are installing a ROM, kernel or any mod, you must create a backup of your current working firmware. A Nandroid backup is a flashable image of all your current OS and settings. You will need to have a custom recovery to create a Nandroid backup. TWRP and ClockWorkmod are 2 most used recovery and available for most of the devices. How to Backup SMS, call logs, contacts, calendar and bookmarks? There is a dedicated app to backup all SMS on your Android Phone. Super backup, also provide options to backup bookmarks, calendar, call logs, contacts and apps. Google restore:Android has an option to backup some sections of your device over cloud storage provided by Google. Google also restores these parts when your phone is reset, but most of us are not sure about the data they back up and there are chances that you may miss to update some data due to Internet issues. so better keep your phone backup locally using 3rd party apps available on play store.